Where the Difference is CLEAR. Digital Eye Strain affects millions of people every day. Are you one of them? Clearer, more comfortable vision for any other near and intermediate activities like cooking, gardening, or gaming. Ask your eye care professional about ZEISS Officelens today. Do you use a computer or digital device more than two hours per day? Do you suffer from dry or tired eyes, head, neck or back pain during these activities? If so, you may be suffering from Digital Eye Strain. 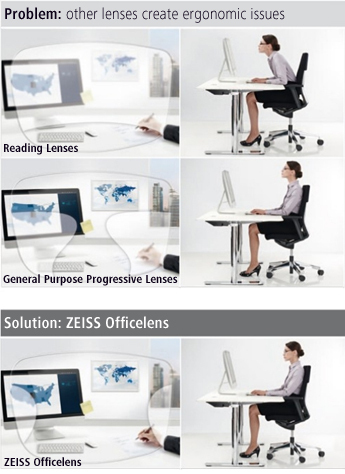 Now there is an eyeglass lens that can help your eyes stay comfortable at a computer and in other up-close activities: ZEISS Officelens. The right tool for the task. Digital Eye Strain is often the result of wearing lenses with inadequate intermediate vision, which is vital for computer work. Digital Eye Strain results not only in eye problems but can also impact other parts of the body. 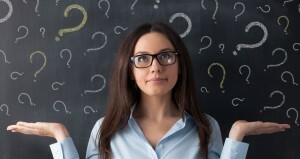 Reading Lenses offer no intermediate vision. Result: Wearers lean in toward the screen to see clearly, creating an unnecessary strain to neck and back. General-purpose Progressive Lenses offer a narrow intermediate located below eye level. Result: Wearers lift their heads to view the screen, causing a strained neck and shoulder muscles. 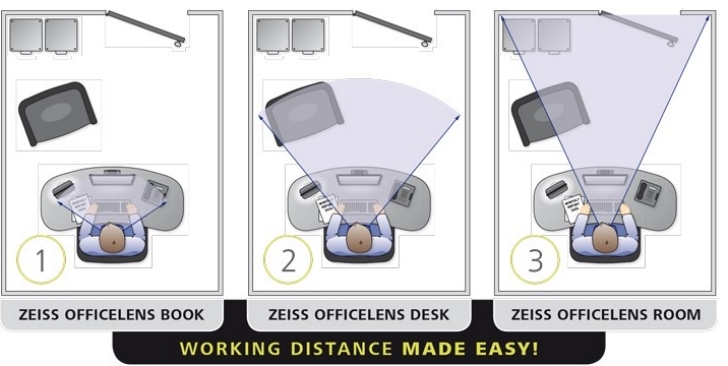 Unlike reading lenses or ordinary progressives, ZEISS Officelens is designed specifically to solve this problem. This provides a wide, ergonomically positioned lens for near and intermediate use. Wearers maintain a natural posture for complete comfort all day long. ZEISS Officelens lets you personalize your vision based on your needs. ZEISS Officelens provides clearer, more comfortable vision for any other near and intermediate activities like cooking, gardening, or gaming.